Why do big businesses fail with increasing regularity? Some time ago I wrote a blog about Toys R Us and the struggles it was having in the US. At the time all the reading I did seemed to suggest that the European arm of the company would be safe. Unfortunately, yesterday we witnessed both Toys R Us and another retail giant, Maplin, heading into administration with the potential loss of 5500 jobs. Bad times. As someone who works very closely with smaller businesses, it is worrying when you see that even larger businesses just cannot seem to cope with market conditions at the moment. Reports I have from small businesses across the country are of some bleak trading conditions. Suppliers are raising prices, largely thanks to rises in fuel costs and the costs of production materials, and increasingly consumers are looking for bargains, meaning the high street business is squeezed from both sides with the added insult of high rent costs for storefront properties, and business rates for even small businesses over a certain size – regardless of income. No wonder big businesses fail too. I decided to have another look at the causes of why big business fail. Have you anything you’d like to add to this list? Feel free to do so. Failure to innovate is a critical reason why big businesses fail. I wrote in my Toys r us blog about how the stores, so popular in the 1990s, had never really changed. They kept the same look and in recent years, that look has become tired. Part of this is a cash flow problem of course. If you don’t have the money you can’t revamp your store. Another issue with Toys R Us was its lack of internet presence. A company of their size should have been at the forefront of internet shopping. •	Where do we want to go? •	How will we get there? Finkelstein notes that in order to sustain long-term success, companies need leaders with vision and inspiration and whatever strategy they come up with must then be passed to all managers and employees. The workforce should be empowered because they will help a big business get wherever there is, through the hundreds of small actions they make every day. Without strong leadership, big businesses fail. It is important to make better and more informed decisions based on data and analysable information. You need insight into what your competitors are doing, and what your customers want. It’s fine initially when you’re starting a company up, to rely on mental shortcuts, gut feel, intuition and so forth, but when problems get complex, you need to be much more analytical. On Channel 4 News last night (28th Feb 2018), a journalist asked people outside Toys R Us just why they thought the company had failed. The responses ranged from the failure to embrace internet shopping, and a poor customer experience. It is difficult to quantify what a ‘poor customer experience’ means from a five-second clip of a man standing in the snow being interviewed by a national TV reporter. 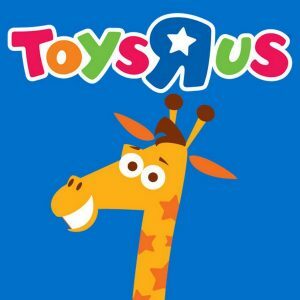 It is completely unfair to suggest that all Toys R Us employees have given poor customer experience. It’s safer to assume that customer experience within the shores had been variable. In my mind I tend to think – pay peanuts and get monkeys. If I get a please and thank you from someone earning a minimum wage that won’t even buy them cups of coffee at a tax evading coffee chain, I’m happy! A smile is a bonus. But I don’t think people want all-singing and dancing customer service, what they would like is a differentiated customer experience. They want to feel something. It’s up to the business what that experience will be. I visited an upmarket shop in York recently and made a small purchase. It was a small shop with more assistants than customers. The assistants were lovely, and they were helpful, but it was overkill. One of them gave me the wrong information so that my purchase cost more when it was rung up. I queried this and received a discount. Great. I’d have liked fewer intrusions in my shopping experience though. Thinking about it, perhaps all singing and all dancing would be a good thing for a large toy shop. It’s supposed to be fun! The kids would love it and it would mean they would want to visit often and their parents would be badgered to bring them. Parents hold the purse strings. You’d have to pay the staff more than minimum wage though, but it would be worth it. Investment in staff is never a waste of money in any business. One of the biggest problems Toys R Us had of course was a lack of money. My last Toys R Us blog showed quite clearly that the business had over-extended itself a number of times. They were in hoc to suppliers, and struggling to get stock in for Christmas. Banks are much less likely to make additional financial arrangements in the current economic climate too, and even companies such as John Lewis are struggling with the amount they have to pay for rent. Another consideration when you look at why do big businesses fail is because they have over-expanded. This occurs when they buy out other businesses and over extend themselves financially, or it can be when they have too many branches too soon. Expansion can be a major liability especially where companies have borrowed finance and have huge interest payments to keep up. 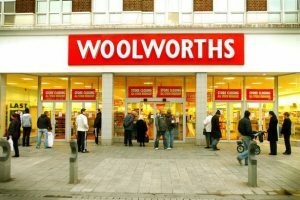 Before its demise, Woolworths had 800 stores and a rent bill of £150m a year, with the cost of leases rising by 2.5pc every year. 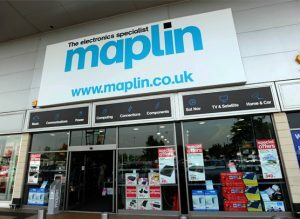 Maplin meanwhile, had a huge debt burden, it paid £12m of interest last year on a £63m loan from Rutland Partners at a rate of 15%. Poor marketing or advertising of companies can be a cause of decline. ITV announced their advertising revenue is down at the moment, as increasingly fewer companies resort to TV advertising. There is an art to advertising. You need the right advertising mix that targets the right audience in the right place. In the age of Netflix and catch-up TV, television advertising is not necessarily the best way to target your brand. Big businesses that fail to corner an area of the market will struggle. Look at Woolworths and BHS for example. They tried to be many things to all people. Woolworths especially, had an odd mix or household goods, CDs and DVDs, sweets, jewellery, clothing etc. According to one report the chain stocked more than 40 types of pencil case, but on-shelf availability of products was often just 73 per cent. With uncertainty over Brexit, and global recession, there are a large number of big businesses in Britain struggling at the moment. We’ve seen the collapse of Carillion, and the bedmaker Warren Evans. 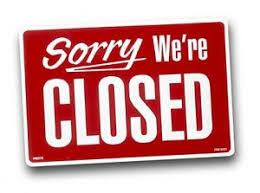 There have been staff cuts announced at Tesco, Sainsbury’s, Marks & Spencer, British Gas, Debenhams and New Look. Shares in Mothercare have slumped by 9% to an all-time low. Unemployment is rising at its fastest rate for five years. It’s a sad indictment of British culture that increasingly we’re willing to see the demise of British businesses as we rely increasingly on huge American companies (such as Amazon) for our shopping, and allow chains, (such as McDonalds, Starbucks, Subway etc.) to dominate our high streets which are progressively only otherwise populated by charity shops. Without more support from the government, local councils and consumers, we’ll see increasing numbers of small and big businesses fail. Why do big businesses fail in your eyes? I’m interested to hear some different views. Comment below or join me on Facebook. Next time I’ll be looking at why small businesses fail.